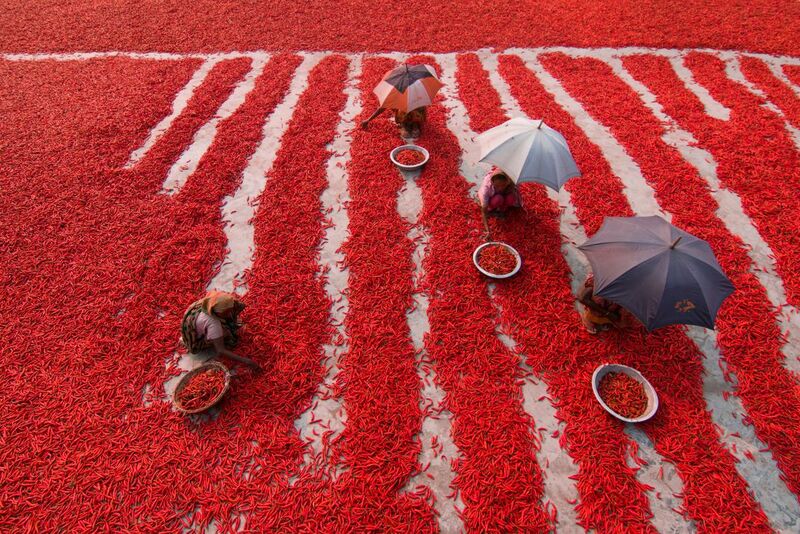 Countless chili peppers surround laborers in the Bogra district in the north of Bangladesh. 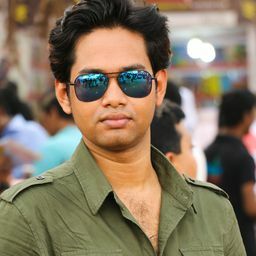 More than 2,000 people work in almost 100 chili farms in Bogra in Bangladesh to supply local spice companies with chilies for use in their recipes. Chili peppers are a major part of the Bengali cuisine popular in Bangladesh and are used as part of a combination of spices for various meat dishes, including chicken and beef. 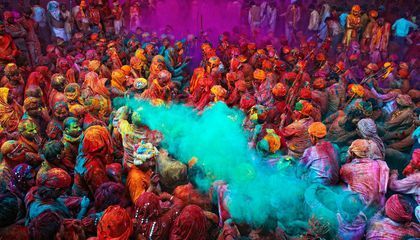 This photo is a finalist in the Travel category of our 15th Annual Photo Contest. See all 60 finalists here. Date Uploaded: May 12, 2017, 8:07 a.m.